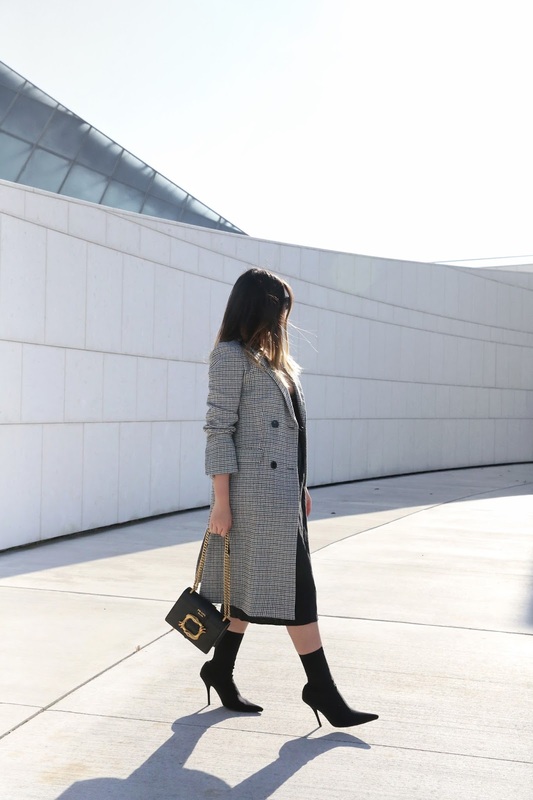 If you haven't invested in an iconic check coat in your wardrobe this season, act now my friend. The hero plaid has been an iconic British signature since the 1800s, although it never really goes out of the style, it is back in full force this year whether in the form of classic blazer, structure coat, or even matching power suits, with updated details like oversized shoulders, structural waist, contrasting labels and much more. It has been seen everywhere from runway to street. And definitely all the way to yours truly's closet..
BABEEE I need this coat!